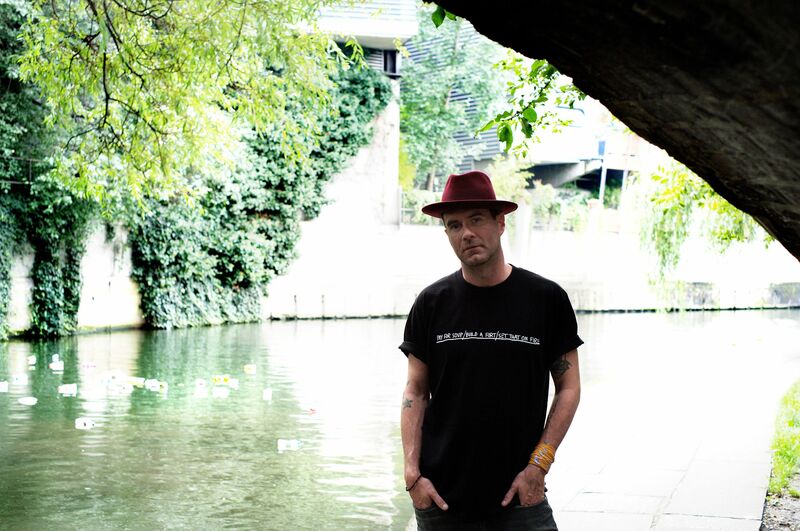 When he was just 18, James Lavelle set up his Mo’Wax imprint and was working at Paul Bradshaw’s magazine Straight No Chaser. It was also the age he visited Tokyo for the first time – a city he’d form a close bond with when he carried his Mo’Wax vision worldwide. On his trip, Lavelle immersed himself in Shibuya’s burgeoning streetwear scene, with brands like Hysteric Glamour and 40% – which became Neighborhood. He also built friendships with Hiroshi Fujiwara and Toshio Nakanishi AKA Tycoon Tosh of the band and label Major Force. Lavelle formed a lifelong bond with Tosh, releasing the Major Force Posse boxset, The Original Artform in 1997 and opening his UK imprint Major Force West. As a tribute to Tycoon Tosh, Jocks & Nerds asked Lavelle to select 10 defining tracks. I first discovered this when I was 14 working at Bluebird records. Tim Simenon from Bomb the Bass brought in a white label of this mythological hip hop cut and paste instrumental. It’s a collaboration between streetwear pioneer Hiroshi Fujiwara, Major Force producer and original Unkle member DJ Kudo and Wild Bunch founder DJ Milo. One of the greatest club records ever. My love affair with Major Force began here. Toshi and Kudo’s Love Organisation’s first release on Major Force West, the UK branch we founded together with Marts Andrups as a Mo’Wax subsidiary. The track is a mad instrumental journey into tripped-out jazz from their underrated debut album Headturner. The first ever Unkle single, originally released on Major Force West. It was recorded at Toshi and Kudo’s west London studio with myself and Tim Goldsworthy, owner of DFA Recods, and is one of the first records to start the trip hop phenomenon – sampling Sun Ra and filled with EMS synthesisers and the beginning of my recording career. Classic Tycoon Tosh: James Brown-sampling, late 80s hip hop. Toshi and Kudo gave this to me when I first met them, working in Honest Jon’s when I was 17. My addiction to Major Force was sealed. The production, design and style blew my mind and became a major influence on Mo’Wax. Taken from Toshi’s debut Tycoon Tosh LP The China Syndrome, a slice of laid back, thoughtful hip hop fusion and my favourite track on the album. One of the all-time Japanese hip hop classics by Toshi Takagi, produced by Hiroshi Fujiwara and sampling the Cymande classic dropped in every 90s party I played in Japan. Unkle recorded part two on Mo’Wax Japan and the title was immortalised on the street by Nigo and A Bathing Ape. Featuring Loretta Haywood on vocals, the Toshi and Kudo two-step classic was massive on the sound system scene in the early 90s. It changed hands for a lot of money at the time. Another track of mythological legend. Hiroshi’s house classic with Kudo and Kan also on production, a gold, legendary Tokyo nightclub anthem played by everybody from Frankie Knuckles to DJ Harvey. Kool DJ Red Alert and Major Force Posse - Prop-Master's Party!! Taken from Red Alert’s Classic Kiss FM radio show, Major Force and Japanese hip hop goes international. An amazing piece of international hip hop history. Major Force in full effect. The ultimate Major Force collection released on Mo’Wax. It took me years to license the material and, to me, this is one of the greatest Mo’Wax releases as Major Force was one of my biggest influences in starting Mo’Wax. From the production to the covers, it’s one of the greatest labels of its time with one of the greatest record label logos ever designed by Toshi.